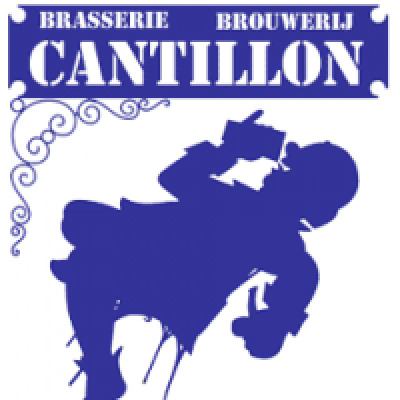 Straight from Cantillon's site..."When in early April we brewed a top-fermentation beer which was to become Zwanze 2012, we hoped that it would be ready 3 or 4 months later so that we could organise another Zwanze Day sometime in September. However, since we are working in the very specific environment of traditional Lambic brewery where natural yeast flora reign supreme, even a top-fermented beer can take control of its own destiny. As such, on the occasion of a final tasting session at the end of June it became crystal-clear that the Zwanze 2012 would not be ready in time and that it would, we hope, become Zwanze 2013. Seeing that we had received numerous requests to organise a Zwanze Day this year we decided to recreate the very first Zwanze produced in 2008. As a reminder, that year's vintage had been brought about by soaking rhubarb in Lambic. The ultimate result of that experiment was a very delicate and complex product in which the beer' acidic taste struck a very nice balance with the plant's tartness and then lingered long on the palate. For this new production batch we decided to work with organically-grown rhubarb, and you can really taste this in the beer, which is more structured and full-bodied than the 2008 vintage. We opted to recreate the rhubarb Lambic because very few consumers had been able to taste this beer 4 years ago, when only 300 litres had been produced. On top of this, unlike fruit crops, rhubarb production was not adversely affected by the very poor weather which hit Europe this spring. And finally, the last, perhaps most important reason of all for bringing back Zwanze 2008: my wife tells me it's one of her favourites. Of course, because of the delays encountered with the first Zwanze we will not be able to hold this year's Zwanze Day in September. Instead, Zwanze Day 2012 will take place on Saturday, 1 December at the 30 or so locations around the world listed below. I wish you all an excellent Zwanze Day! Japan - Tokyo: Embassy of Belgium"